Looking "where to sell my Plymouth Superbird?" Ask the Chicago Car Club! Are you wondering "where to sell my Plymouth Superbird ?" The Chicago Car Club is interested in classic cars of all makes and models, especially a Plymouth Superbird. We make the process of selling your Plymouth Superbird quick and painless. In just a matter of hours we will have your classic valued and, if you do so choose, turned into money in your pocket. All it takes is a phone call or electronic inquiry to get the ball rolling. 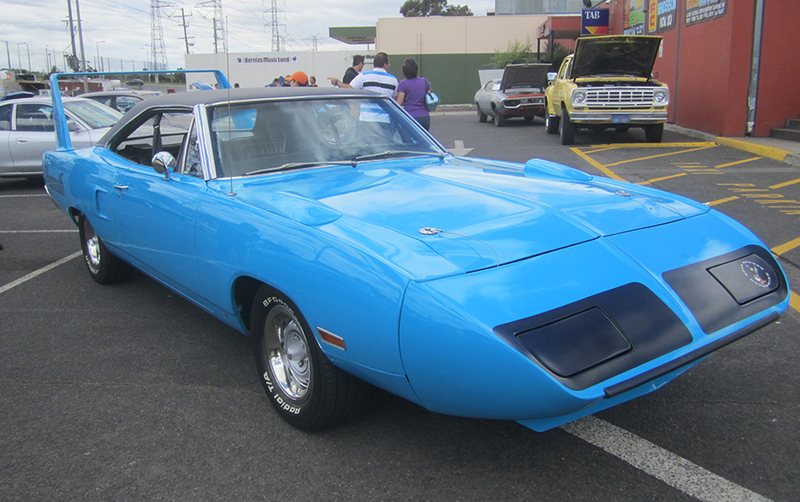 The short-lived Plymouth Superbird is a legend among classic American cars. Driven by Richard Petty, it was dominant during its short stay in NASCAR. Based on the popular Plymouth Roadrunner, the Superbird was prized for its aerodynamics. The captivating design and motorsport success make the Superbird extremely sought-after today. There were a variety of engine options, the top of the line option being the 426 cu. inch 7.0L Hemi with two four barrel Carter AFB carburetors, producing 425hp and propelling the car from 0-60mph in 5.5 seconds. Plymouth produced the Superbird to compete with sister-company-Dodge’s Daytona, which debuted the previous year and was the first American car to be aerodynamically designed using a wind tunnel. The Superbird was designed specifically to entice Richard Petty, who had previously driven for Plymouth in NASCAR but had since switched to Ford. The ploy worked, Richard Petty raced the Superbird for one year in 1970, winning eight races. However, NASCAR responded to the new breed of aerodynamic race cars with power-to-weight regulations that rendered the Superbird uncompetitive. It was then removed from competition.